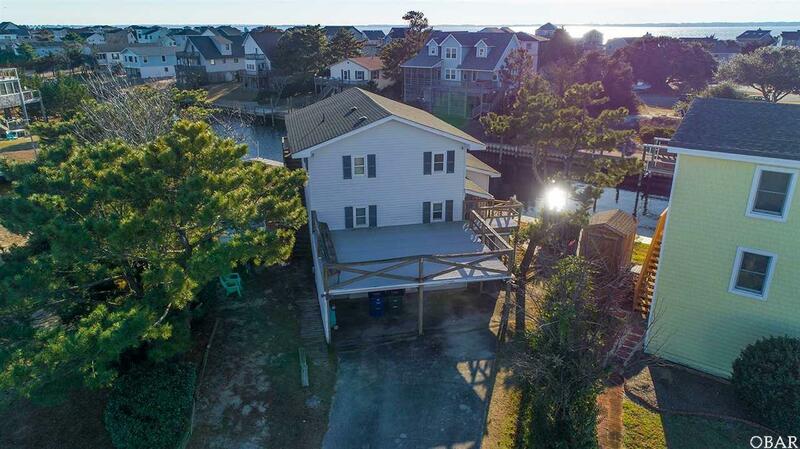 This 4 bedroom home in popular Old Nags Head Cove is affordably priced, but will require some work. It has been completely emptied and ready for someone to come in and put their personal touch on it. 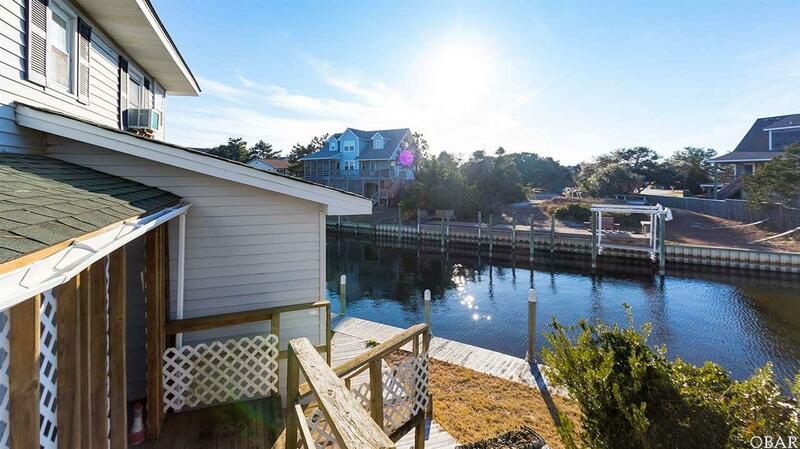 It boasts 95ft of bulkheaded canal frontage with easy access to the sound. This is not your typical beach box. 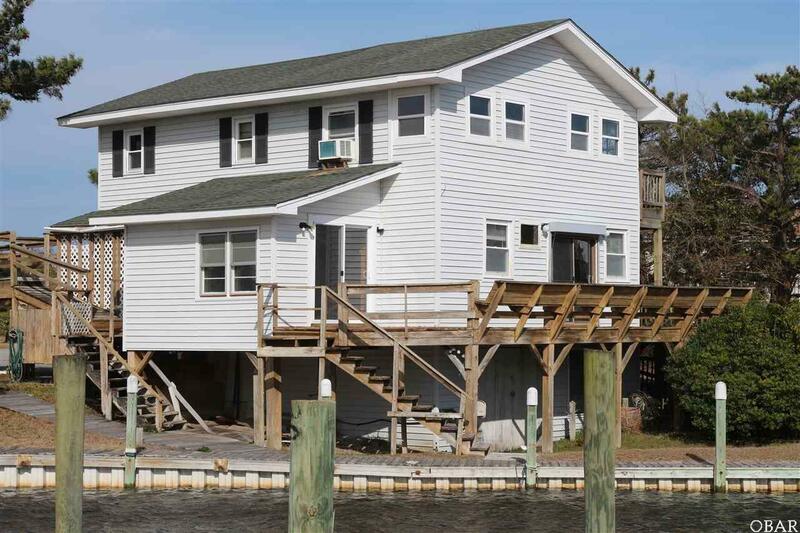 The downstairs living room has an open floor plan flooded with natural light connected to a large deck overlooking the back yard and canal. There is an enclosed sun room adjacent to the living area that would be great for extra seating or an office. The two downstairs rooms share an updated full bathroom. The upstairs has a large living space overlooking the canal with a separate entrance. This could be used as an over-sized master bedroom as it does have access to the shared full upstairs bathroom. There are upstairs two bedrooms sharing the other full bath, though one of the rooms does have direct access to the bathroom. 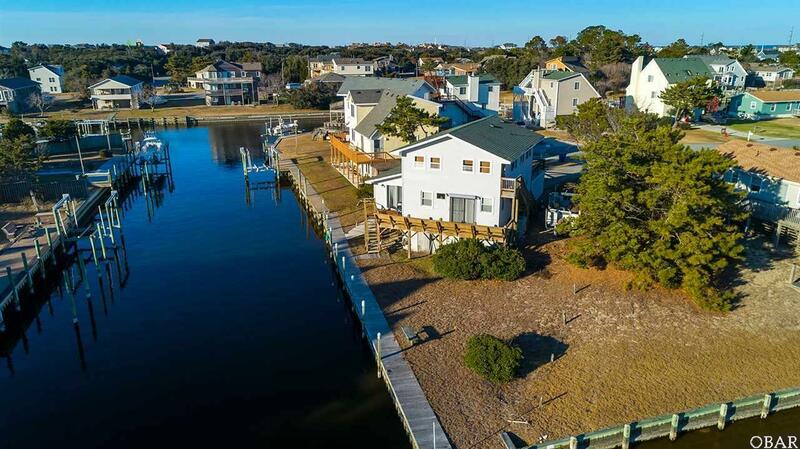 Don't forget that Old Nags Head Cove amenities include a clubhouse, outdoor swimming pool and a boat ramp. With a little TLC, this house could be the one that you have been waiting for, call and schedule your appointment today!